This unique error is a two tailed, dual date, double denomination Mule from Chile. 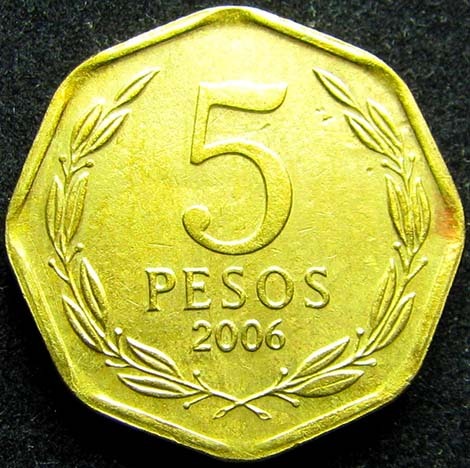 In this case a 2006 Chilean 5 Pesos reverse die was mis-matched with a 2006 Chilean 1 Peso reverse die. 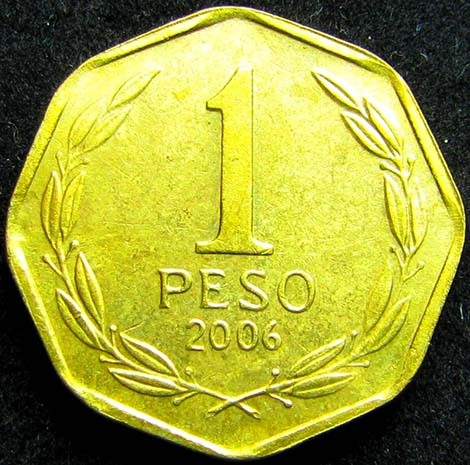 A normal 5 Pesos coin is comprised of brass while a normal 1 Peso coin is struck on an aluminum planchet. Both dies were paired and then struck an octagonal (8 sided) 5 Pesos brass planchet.